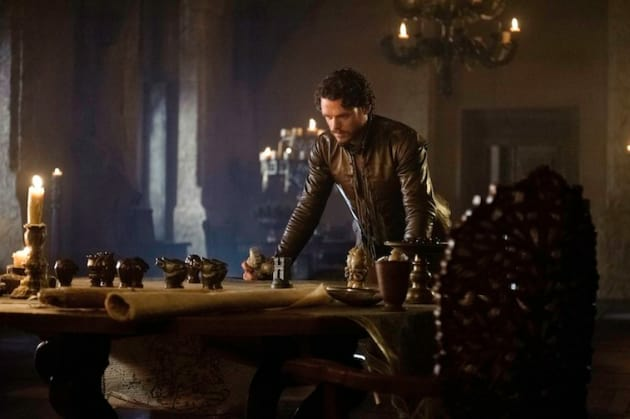 Robb Stark plots his next move in this scene from Game of Thrones. It's from the episode "Kissed by Fire." 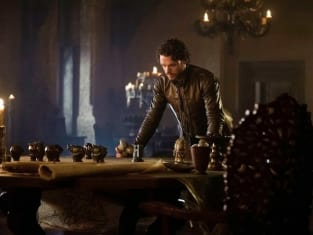 Game of Thrones Season 3 Episode 5: "Kissed by Fire"
What happens to your eagle after I kill you? Does he drift away like a kite that's had its string cut? Permalink: We shouldn't. We should.